The Lunar Orbiter Image Recovery Project (LOIRP) is involved in what is being called “technoarchaeology”– mining the past to support future science. Between 1966 and 1967, NASA sent five Lunar Orbiter missions to the Moon. Their mission was to photograph the lunar surface to help identify future Apollo mission landing sites. The spacecraft carried 70mm photographic film which was developed automatically in lunar orbit aboard the spacecraft. The developed film was then scanned with a light beam and this modulated a signal which was sent back to Earth. LOIRP is digitally reprocessing the original film images. Each image was archived on analog data tape and printed out as photographs for use by the Lunar Orbiter analysis team. 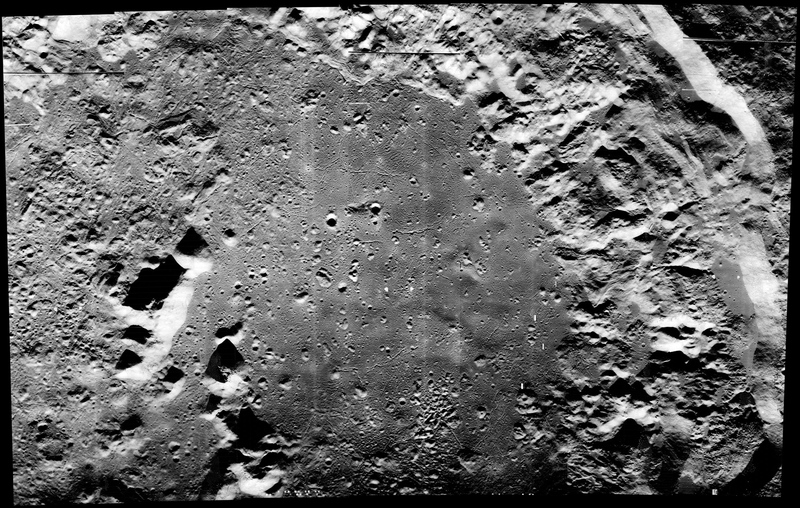 In addition to looking for landing sites, the Lunar Orbiters also produced several stunning photos unlike anything ever seen before. Of note are the “Earthrise” image taken by Lunar Orbiter 1 and the “Picture of the Century” – an oblique view inside the crater Copernicus, taken by Lunar Orbiter 2. Below is the new and largest-ever Lunar Orbiter mosaic of Copernicus crater. By comparing old images of the Moon to recent images, LOIRP offers a time machine of sorts, whereby changes in the lunar surface over the past half century can be identified. LOIRP has also done original science by comparing their highest resolution images with the latest high resolution lunar images to look for changes that could indicate quakes, meteor impacts, or volcanism. But more work remains to be done. Check out all of the images on their public site, www.moonviews.com. These images will be provided at full resolution for free to everyone as this data was originally obtained with tax dollars and LOIRP wishes to provide these to as many people as possible.